Inside the cafe, the menu items are reasonably priced. 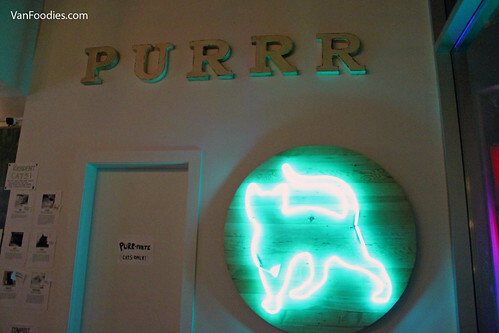 Drinks range from $2.95 to $4.50, with cute names such as Ameowicano and Cat-puccino; as for food, there’s a selection of savoury and sweet items, including quiche, chowder and scones, as well as macarons (aka meowcaron), cupcakes and the Lemon Square. 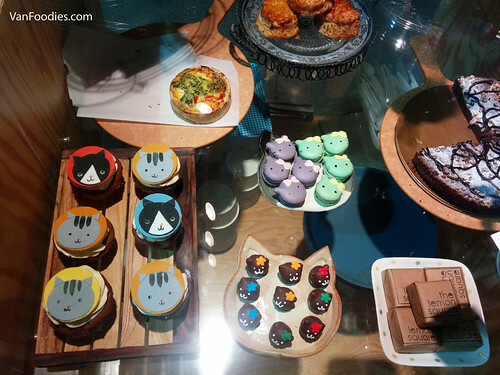 Some of the sweet treats are decorated with a kitty theme, which are just adorable. Everything is priced between $2.95 and $6.85. 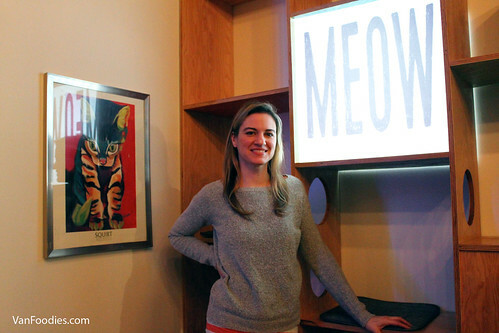 According to Catfe owner Michelle Furbacher, the items are sourced locally including Moja Coffee, Silk Road Tea from Victoria, Tartine and Gourmand Macaron. And they’re always on the lookout for expanding its food offerings. Catfe is a take-out concept, so everything would be in a to-go packaging, unless you bring your own coffee tumbler (which would save you $0.25). 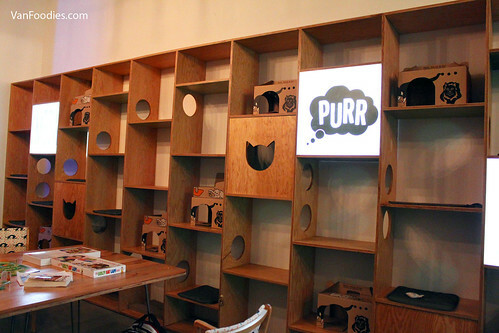 So after you pick up your order, you can head over to the cat lounge for some kitty time. 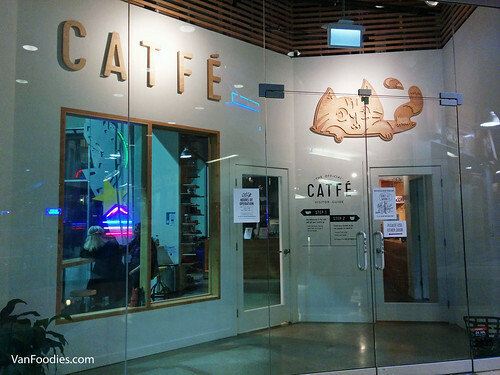 Catfe charges an admission fee — $8 or $5 with any cafe purchase. There are also a few rules that you would need to follow, but they’re all really common sense, just to make sure we’re not scaring the cats. After all, we’re kind of the intruders in this environment as Catfe is their foster home. 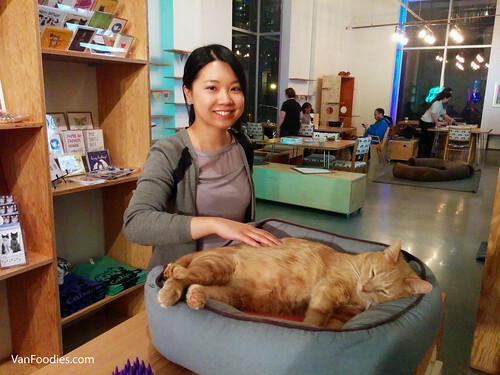 To not overwhelm the cats, there’s a limit to 16 people per hour in the cat lounge. You can make reservations ahead of time, but there are also some walk-in spots throughout the day. The cat lounge feels quite roomy to me. 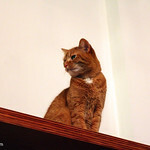 It’s designed to allow cats to move around, climb up and down, chill, or even hide from the human intruders if they want. 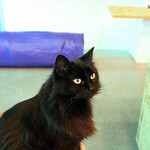 The space can have up to 12 cats at any given time but Catfe has been so successful in helping cats find a permanent home, there were only 8 cats during my visit. 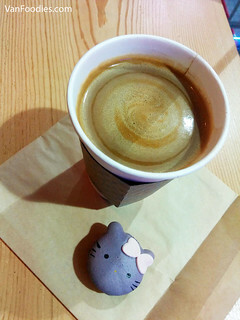 I ordered myself a cup of Amewoicano (Americano) and a Lavender Meowcaron. The coffee was not bad, not burnt or sour like some other cafes. I really liked the macaron, the lavender flavour really came through, while not tasting like soap, and the texture was quite good. Two cats were hiding from me so I only got to interact with six cats. The oldest was Chevy at 12 years old! I can’t easily make furry friends, but Manzarek was so comfortably chilling in his bed I was able to pet him! He’s so fluffy!! 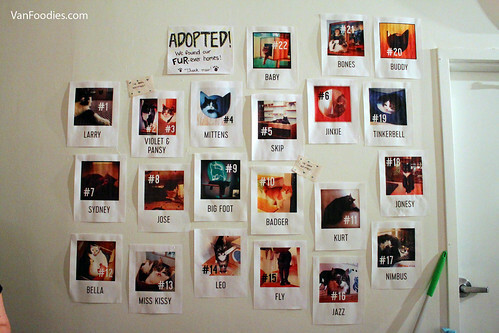 Since its opening on December 14, 2015, Catfe has helped 47 cats find permanent home! 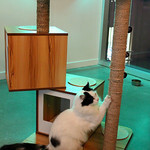 At one point they actually had to close the cafe because SPCA ran out of cats to send to the cafe! That’s just amazing. 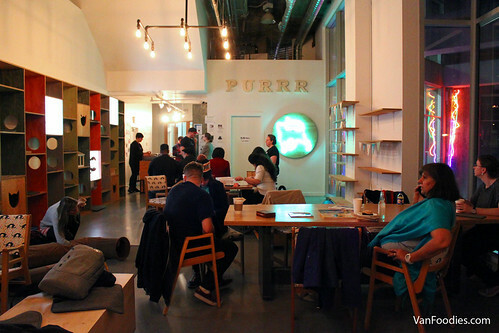 I personally prefer Cafe Chat L’Heureux because it’s more integrated, so I could have a restaurant, dine-in experience while interacting with the cats. There are benefits to Catfe’s model, too. 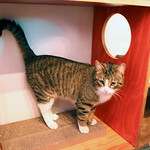 For those who are not looking for kitty time, or those unfortunate ones who suffer from allergies, can still swing by the cafe for a drink or some treats. 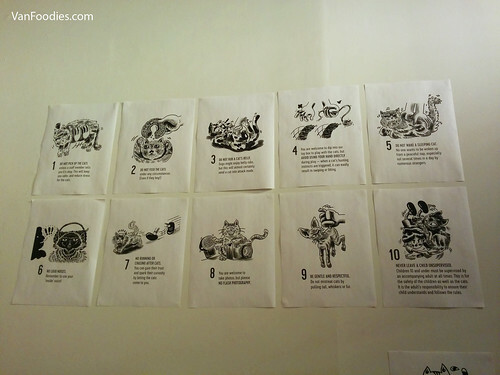 Catfe is definitely a popular place for cat lovers – the cats are the focus; food & beverage is probably secondary. Whether you already have a cat at home, or if your strata forbids you from having pets, you can come to the Catfe for some quality time with these adorable cats. But beware, you may just end up taking one home! I was looking at its website and they’re pretty much booked until early May. So make sure to check online for its availability, and I suggest that you make your reservations to not be disappointed at the door. And remember, they are not open on Thursdays because they have to welcome new cats to this home. 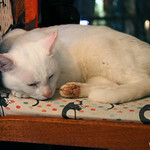 Disclosure: The admission fee was waived complimentary of Catfe, and I paid for the cafe purchase at a discounted rate. The views and opinions expressed in this post are purely my own.